American hardwood. American quality. Give better gifts. 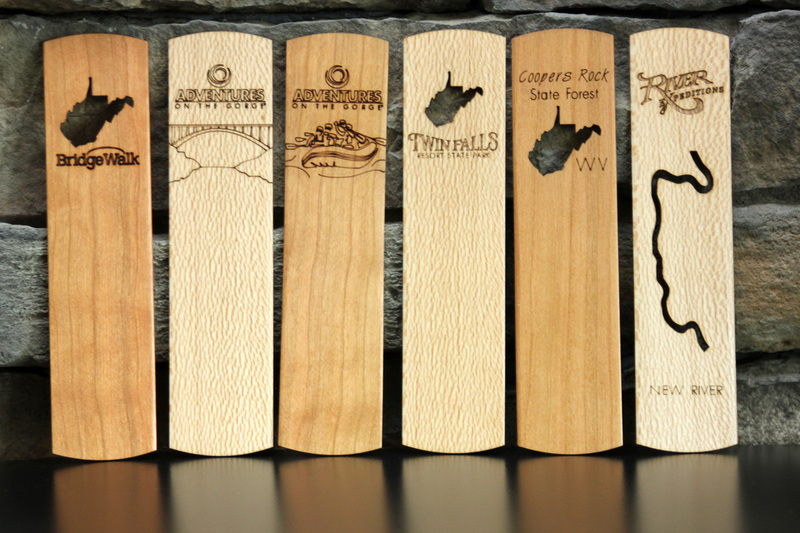 Our custom bookmarks are made with Appalachian hardwood lumber. Cherry and Sycamore offer strength as well high contrast engraving space. The bookmarks pictured show a sample of our cutting and etching capabilities. Please inquire to discuss pricing and artwork requirements. 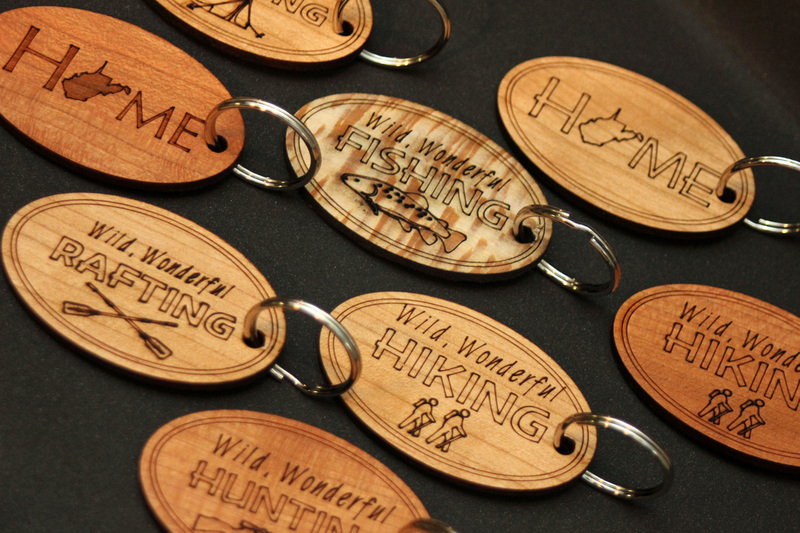 Made with native cherry and sycamore lumber, our keychains offer ample engraving space to customize. 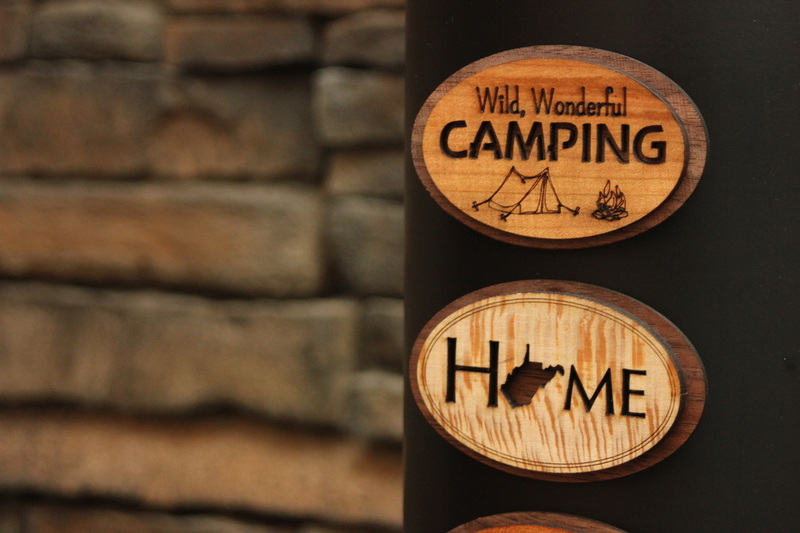 Our magnets feature contrasting hardwoods and a strong neodymium magnet. Using a combination of cutting and etching, we can reproduce and accentuate any logo or text. Please inquire to discuss customization and pricing. Our hardwood coasters feature a coarse surface texture and waterproof finish. The coarse texture provides traction without cork, and the durable lacquer finish offers excellent moisture protection. The rectangular shape highlights your custom text/logo without being covered by the glass. 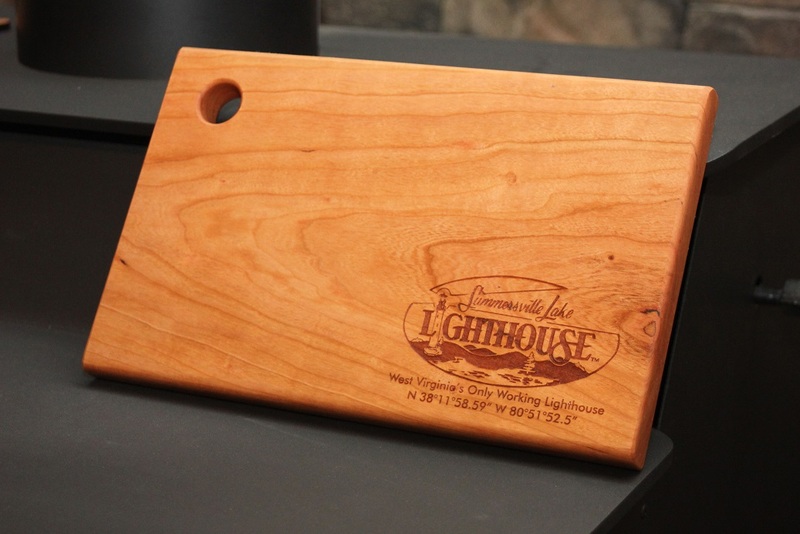 At 7" x 11" , these custom laser engraved cutting boards offer ample space for food preparation and presentation. Made with cherry hardwood lumber and sealed with our custom blend of beeswax and food safe mineral oil. Cherry and maple surfaces offer two unique engraving spaces for your information. 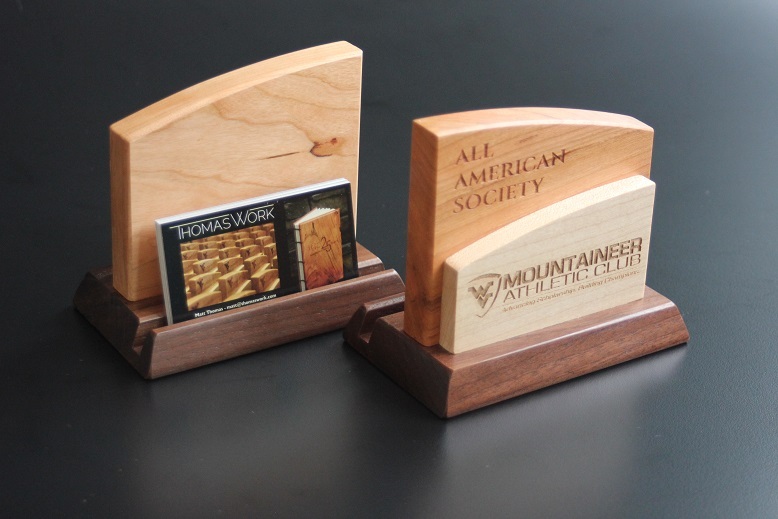 The black walnut base features a groove to proudly display business cards. ​Please inquire to discuss pricing and customization. ThomasWork journals are handmade with traditional methods. 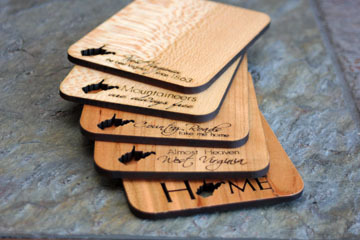 Appalachian hardwood covers provide a firm writing surface. Each journal is filled with 140 pages of 25% cotton, archival quality paper. The open-spine Coptic bound process allows each book to lie completely flat when opened. large volume orders - from $60.00 each ​Please inquire.